St Duthac’s in Tain was an important medieval pilgrimage site. This picture shows the remains of two of three surviving medieval churches dedicated to St Duthac (or Duthus). The roofed church was built in the 14th century and converted by James III in 1487 to a collegiate church. As such it housed a group of clergy dedicated to the cult of St Duthac, containing the shrine and relics of the saint. 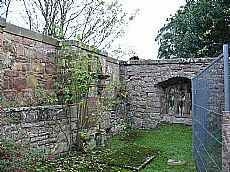 Neaby is the unroofed and now ruinous old parish church, built at the end of the 14th/beginning of the 15th centuries. Down on the links to the northeast of Tain lie the ruins of St Duthac’s chapel, probably the oldest of the three, dating to the 13th century. Tain was a popular pilgrimage site, favoured by local and nobility alike. It reached its height of popularity in the reign of James IV (1488-1513), who visited almost annually after his first visit in 1493. Clearly there was piety involved, but some historians have also pointed out that it was convenient when visiting his favourite mistress at Darnoway Castle in Moray. This patronage resulted in a flow of money and gifts to the shrine. Given how popular the cult was, it is somewhat surprising how little we know about St Duthac himself. The connection with Tain seems to be simply that a cleric of that name was born and buried there. Few details of his life can be verified. Tain was able to capitalise on the cult by its possession of a number of relics, including his bones, shirt and bell. All of these disappeared after the Reformation. The Reformation also marked the decline of the buildings, as only one church was now needed. The church on the links probably soon became ruinous. The collegiate church became the parish church, until 1815, when it then decayed and was later restored, though no longer functioning as the parish church. The old parish church, pictured here, lived on as a burial mausoleum. It is now unroofed and ruinous. 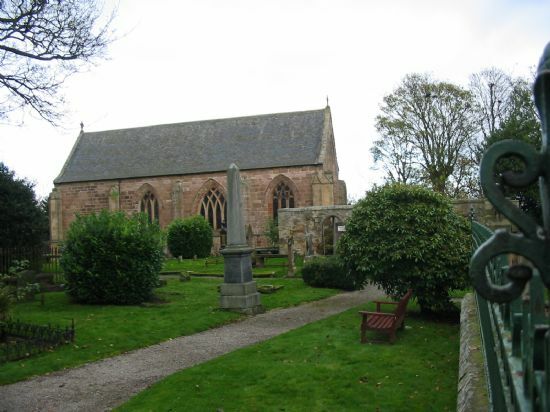 ARCH will be leading guided walks in Dornoch (Saturday, 12th February),Tain (Sunday, 13th February) and Camore near Dornoch (Monday, 14th February), highlighting some of the rich heritage along the coast, including these churches. Further details and booking from the Events section of the website. R.D. Oram et al 2009. Historic Tain. Archaeology and Development. Historic Scotland. Joanna Close-Brooks 1995. The Highlands (2nd ed).